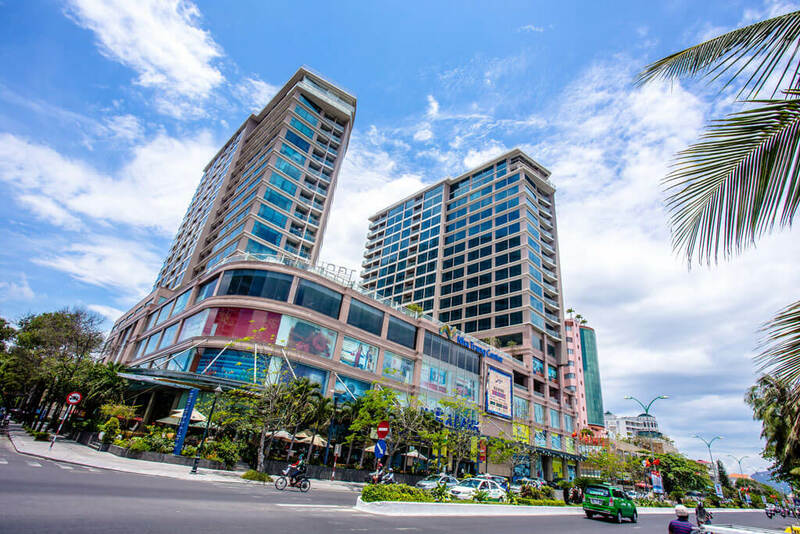 You are going to learn about the well-known and the most popular shopping centers and malls in Nha Trang from this article. There are six most visited shopping places here. Let’s look at them in detail. There are not a lot of places for “marathon” shopping in the most popular resort town of Vietnam. Even so, Nha Trang is an actively developing and fast-growing city. 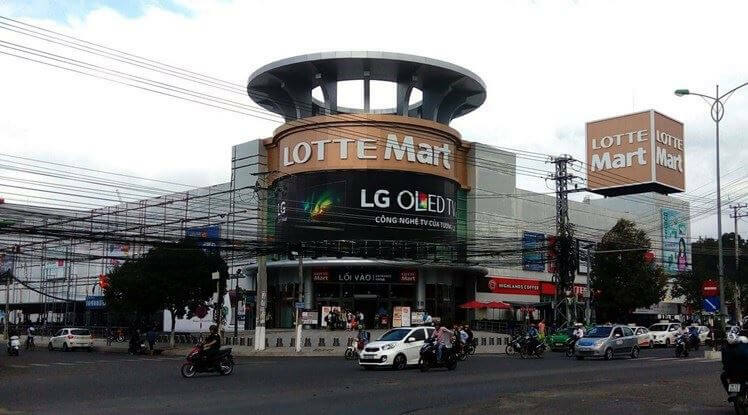 Lotte Mart was built just a year ago, and now another shopping center is being built, right in the center of the city. Generally, at that point there is a number of good malls where any guest will find something to their liking. 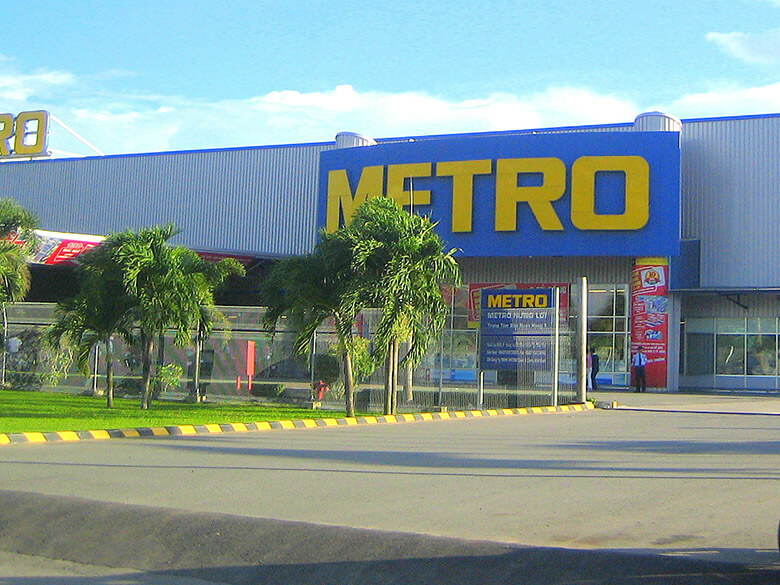 These include Nha Trang Center, Big C, Coop Mart, Maximark, Metro Mall. Let's take a closer look at each of them. The first shopping center all the tourists coming to Nha Trang city learn about is “Nha Trang Center”. An excellent mall to start with for those who are not at all familiar with the city and the local cuisine. Prices are slightly higher than in the rest of the city, of course, and nobody will bargain here to drop the prices, but this Mall is very easy to find and the selection of goods will satisfy the most of visitors. «Nha Trang Center» is located just a hundred meters away from the sea. There is a food court on the third floor of the Mall where it is possible to choose the most convenient seats by the window with a magnificent sea view for free, of course. 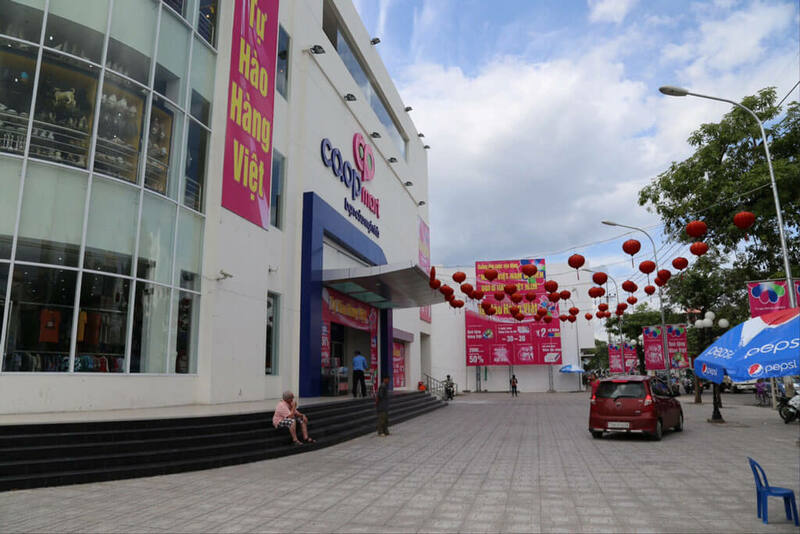 The ground floor of “Nha Trang center” accommodates stores where you can buy accessories, jeans, leather bags and purses, perfumery and cosmetics. On the first floor, sellers offer a lot of things made out of natural materials. Also, there are small departments with goods made out of genuine leather here. In addition, you can find kids clothing as well as underwear and lingerie. There is a supermarket called Citimart on the second floor. People come here to buy food if they prefer to have a snack right in the hotel’s room. Also, there is a kids’ room where you can leave children under professional staff supervision while you go shopping (the price starts from about $4). The third floor has a movie theater called Platinum Cineplex, they play movies in English (Vietnam locals as well as China locals prefer to watch movies in the language of origin, with subtitles). Let’s say, this shopping center is designed for tourists more, locals are not shopping here very often (for that matter, the markets of Nha Trang are much more beneficial). One of the most expensive and prestigious gyms in the city called “California” is located here, by the way. 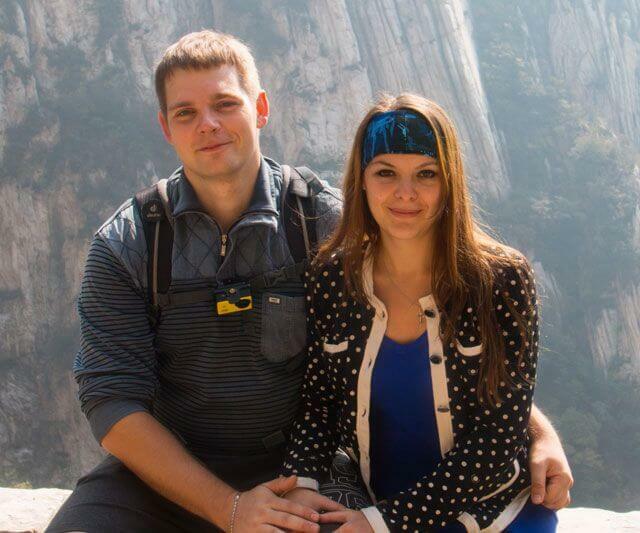 You can get more information about it in our article «Nha Trang gyms». The newest of the malls opened its doors to guests in the summer of 2016. This is a large building with two spacious floors. The ground floor is occupied by grocery stores mostly; there is a number of very attractive cafes here too. A lot of visitors will like the idea that besides eating deliciously and stocking up on food, here they also can prepare their own soup here. There is an infinite number of ingredients for them to choose out of. There is also a kids’ playground with a virtual reality helmet. The first floor of Lotte Mart offers cosmetics, alcohol, souvenirs (coffee is especially popular, so, there is a whole department of it here) – there is everything that a tourist or an ordinary buyer might need. It is interesting that this “Auchan” starts on the upper level and ends on the ground floor. The ground floor presents all the possible produce, exotic fruits and vegetables, even locals are shopping for groceries here as Lotte Mart boasts lower prices as compared to the other city malls. Big C. Shopping center for the whole family. Nha Trang’s “Big C” mall is one of the biggest hypermarkets. There is a colossal store of the same name inside of the mall where you can find many departments with clothing and small fast-food cafes (on the ground floor). There is a big playing yard for kids outside the building. In general, this mall is suitable for fans of shopping, and for those who just want to eat and stock up on food. Prices are quite low, in most cases you can save a lot, after all. This shopping center is commonly believed to be for the local residents mostly. It is more complicated to get here than to the other stores. Prices on many things are lower here compared to tourists’ popular places. The ground floor, as usually, is reserved for a supermarket, there is also an Apple brand store located here. The first floor will please you with an abundance of kid's clothes and extra supermarket departments. As for the prices, this is a very budget friendly place, it attracts many people who live here. On the second floor you can have a snack and have fun in the gaming section. You can feel the city life of Nha Trang during Coop Mart visiting. This place is located on the 2 Le Hong Phong. The best option is to call a taxi or ride a bike. This is the shopping center most tourists prefer. Four levels, a large area of premises and a cozy atmosphere attract more and more visitors every day. Prices are around 10 percent lower compared to “Nha Trang Center”. There is a convenient and modern supermarket where you can buy food on the ground floor. The first floor will appeal to those who would like to wander around the departments with clothes and buy different things. On the second floor there is a variety of souvenirs and children's clothing. 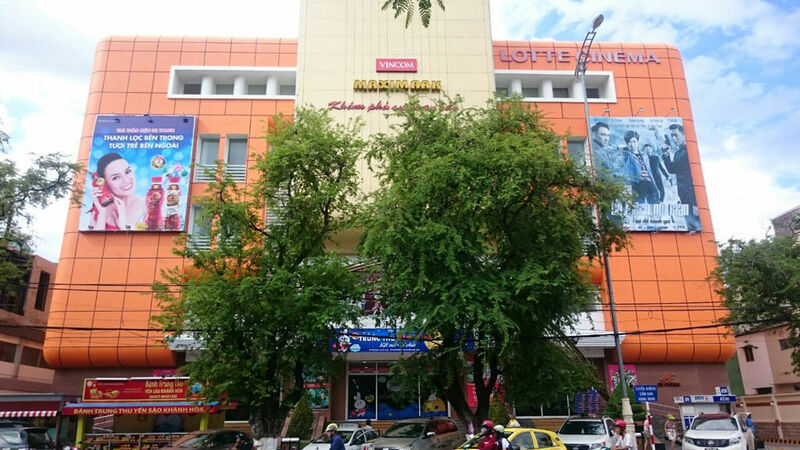 The third floor is reserved for a cafe and entertainment center, this is where the second movie theater of Nha Trang called Lotte Cinema is located. You can spend some great time with family or friends, eat and chat, discover a small game park and have a lot of fun here. It is easy enough to get to this place. Either take a ten minutes’ walk along the Yersina Street which is the main street or call a taxi and specify the address: 60 Thai Nguyen Street, Phuong Sai Ward or simply name the shopping center to a Taxi driver. 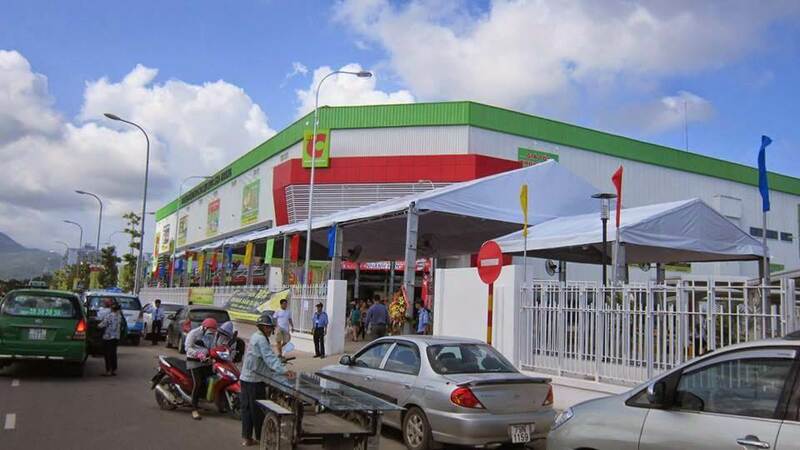 There is one more pretty big supermarket where almost no tourists or travelers make their way to, but it totally deserves to be mentioned as it has a lot of things that you will not be able to find in the five described earlier shopping centers, for example stuff like ostrich meat or a large chunk of cheese. This mall is located much further than any other, so, it means it is practically mostly a locals’ place for shopping. It is possible to have a perfect shopping experience in the Nha Trang shopping outlets. Every one of them offers all kinds of produce, clothing, electronics, accessories and jewelry in abundance. Most of the shopping centers are within walking distance, you can get there by foot or by taxi.